We have all learned this in our lives: The same thing can look very different depending on your perspective. Here’s an example: 19 months. In many respects, that is a long time. It’s more than a year and a half. Over that duration, a newborn grows into a walking and talking toddler. A person can master a brand new skill. An entire office building could be constructed from the ground up. But 19 months feels like a much shorter length of time in this context: it is now the average tenure for a VP of Sales. As Gong.io’s Chris Orlob pointed out last week, this represents a steady decline; seven years ago the figure stood at 26 months. How much can a newly installed sales executive really be expected to accomplish in 19 months? By the time she has acclimated and begun implementing her plans, she’s already working against the clock. We are operating in a results-driven environment, and this shrinking number reflects that pretty well. Orlob suggests that a primary driver of shortening tenures for the VP of Sales position is seen in the overall percentage of reps making quota, which has fallen from 63% to 50% during the same period. From one perspective, this is a scary trend. But from another, it’s a prime opportunity to identify what’s going wrong and set things back on track. With this optimistic mindset, we’ll share insights from Orlob and others on closing the performance gap and ensuring that more VPs are able to stick around for the long haul. Generally, sales teams are divided into three groups: high performers, low performers, and middle of the pack. Orlob asserts that there isn’t too much space for movement in the first two categories; high performers can only fractionally improve their already strong results, while low performers are often poor fits for their roles. But that last group? This is where Orlob believes sales managers should focus their attention. “Moving your middle-of-the-pack up just a notch in terms of effectiveness is the single highest-leverage task you can take on,” he argues, adding that the combination of raw potential plus room for improvement presents a key opportunity. But how to help these promising sellers take the next step? Perhaps we can do so by consulting the data and helping them optimize their approaches in prospect engagements. 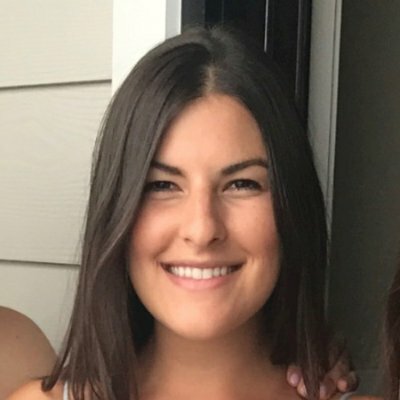 Orlob is the Director of Product Marketing at Gong.io, which offers a conversation intelligence platform for sales. This solution records, transcribes, and analyzes sales conversations with a goal of delivering data-driven, actionable insights to help improve outcomes. This week, the company shared nine elements of effective sales conversations based on some of its findings. Two items that Orlob highlights in particular: the timing of a pricing reference, and the amount of time spent listening. 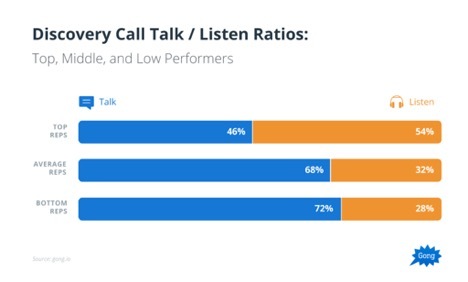 Although these data are drawn from actual phone conversations, the takeaways can easily be applied to online interactions as well. For instance, don’t pitch price in an introductory LinkedIn InMail with a prospect and maybe not even in the ensuing follow-ups. When messaging back and forth, ask open-ended questions and let the other person do most of the talking. Of course, old habits are hard to break. Many sales reps are accustomed to broaching price early on, or taking control of conversations. If these reps fall into that group of average-or-slightly-above performers, chances are they’ve had some level of success with these tendencies. But the data make it pretty clear that for the most part, a different method will drive better results, and this aligns with all we know about buyer preferences shifting toward consultative selling. Show them the evidence. 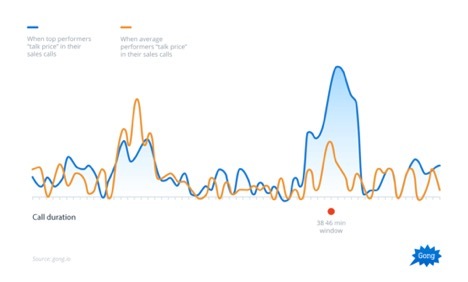 Graphs and visuals like the ones shown above are almost impossible to ignore. Reward positive gains. To the extent you’re tracking these kinds of activities, it may be helpful to structure your sales incentive program around optimal conversational behaviors. Enlighten them on ways to get prospects talking. It’s easy enough to tell reps they should spend more time listening, but this is easier said than done. You can’t listen if you can’t get someone talking. To that end, Steli Efti of Close.io offers some tips for getting a tight-lipped prospect to open up. Whether in person, over the phone, or online, the sales conversation is both art and science. Creativity and personal touch are great, but ultimately there are some universal tactics conducive to closing more deals. Ensuring that your reps are cognizant of this reality will help you close the performance gap and produce revenue numbers that look great from any perspective. Trending This Week: Are You a Fun Facilitator?